Sean Tyler is a playwright and theatermaker. Sean is Resident Playwright with Godlight Theatre Company (New York City), co-founder of theplaygroup (UK), Founder/Artistic Director of Hidden Compartment (UK/US) as well as a freelance playwright and theatremaker. He is an experienced workshop leader, creating and running workshops for adult writers and young people. Click on the titles of the plays on the left for further details. Click on the Contact link and submit your details to be sure of keeping up to date with the latest news, to send your comments and to inquire about performance rights. Congratulations to the nominees and to everyone involved in the production at 59E59 Theaters last fall. The results will be announced at a ceremony at New York's Town Hall on May 31. Click on this link to read the interview. 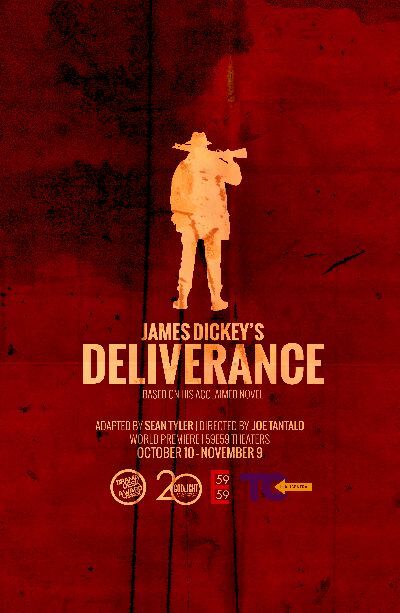 Click on this link to read the Classicalite Q&A with Joe Tantalo, Artistic Director of Godlight Theatre Company and director of the first ever stage adaptation of James Dickey's Deliverance, script by Sean Tyler. 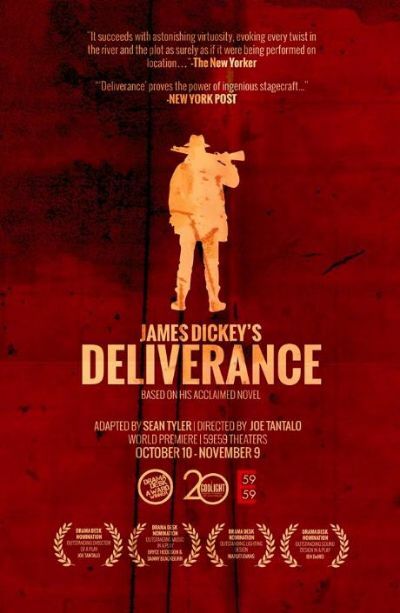 Drama Desk Award Winner Godlight Theatre Company celebrates its 20th Anniversary at 59E59 Theaters this fall with the world premiere stage adaptation of James Dickey's novel DELIVERANCE. This production is a heart stopping tour de force as a mildly adventurous canoe trip explodes into a nightmare of horror and murder. Men stalk and are stalked by other men and the treacherous river becomes a graveyard for those without the strength or the luck to survive. The Drama Desk Award-winning 59E59 Theaters is the number one off-Broadway destination in New York City. In the heart of Midtown, just east of Central Park, 59E59 Theaters is a spectacular modern theater complex with three stages and a lively bar. Sean will be giving a talk as part of Global Entrepreneurship Week. The event takes place at ASPEX, The Vulcan Building, Gunwharf Quays, Portsmouth PO1 3BF, UK. Click here to register. has been shortlisted in SFW:Shorts2013. 'Al Pacino' will be screened alongside the other shortlisted films at Sonar Cinema, Southampton Solent University, East Park Terrace, Southampton SO14 0YN at 3pm on Sunday, November 10. The screening will be followed by judging and prizegiving. Sean will be leading a creative writing workshop, exploring how a strong sense of place can inspire and enhance your writing. This workshop will take place during the regular monthly Hampshire Writer Hub monthly meeting at The Berry Theatre and all local writers are welcome. The Hampshire Writer Hub is supported by The Berry Theatre and New Writing South. Free to members of New Writing South or £5 on the door. 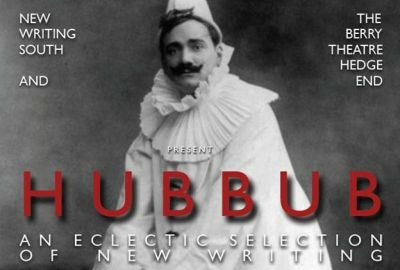 Sean will be disturbing the peace in Hedge End Library when he takes part in Hubbub in the Library, a pop-up spoken word event written and performed by members of the Hampshire Writer Hub. Sean's ensemble performance piece 'In the beginning...' will open the proceedings. All welcome. Free admission. 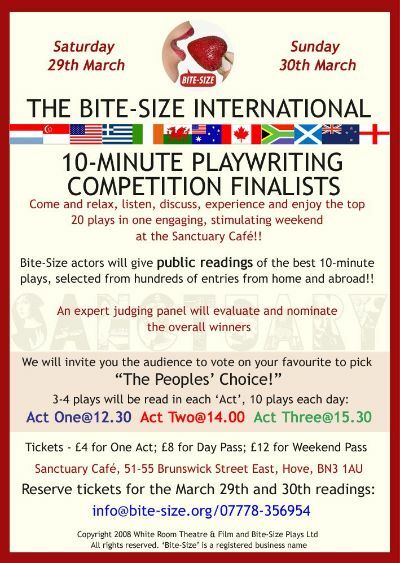 Sean will be leading a selection event for the forthcoming Isle of Wight Writer Squad at Quay Arts, Sea Street, Newport, Isle of Wight OP30 5BD, UK. The Writer Squad is New Writing South's flagship project that spans the south-east of England and supports the development of young writers. Regular monthly meetings will begin at Quay Arts on Saturday, September 21 at 2pm. Sean will be leading a creative writing workshop exploring ways to bring more lyricism into your writing. This workshop will take place during the regular monthly Hampshire Writer Hub monthly meeting at The Berry Theatre and all local writers are welcome. The Hampshire Writer Hub is supported by The Berry Theatre and New Writing South. Free to members of New Writing South or £5 on the door. Sean will be leading a creative writing workshop exploring how to create captivating characters. This workshop will take place during the regular monthly Hampshire Writer Hub monthly meeting at The Berry Theatre and all local writers are welcome. The Hampshire Writer Hub is supported by The Berry Theatre and New Writing South. Free to members of New Writing South or £5 on the door. Sean will be leading a workshop incorporating exercises in novel writing in recognition that November is NaNoWriMo. This workshop will take place during the regular monthly Hampshire Writer Hub monthly meeting at The Berry Theatre and all local writers are welcome. The Hampshire Writer Hub is supported by The Berry Theatre and New Writing South. Free to members of New Writing South or £5 on the door. Flash Fiction Sean will be leading a creative writing workshop in Flash Fiction. This workshop will take place during the regular monthly Hampshire Writer Hub monthly meeting at The Berry Theatre and all local writers are welcome. The Hampshire Writer Hub is supported by The Berry Theatre and New Writing South. Free to members of New Writing South or £5 on the door. The Disappearing Disease, Sean's newest play, is being presented as part of the EAT THEATRE season in the Riverside Cafe Bar at Farnham Maltings, Bridge Sqaure, Farnham, UK GU9 7QR. It's a black comedy about two childhood friends whose relationship is put to the test in adult life when Will asks Adam to fulfill a pact they made when they were eight years old. The play is directed by Joe Douglas. Tickets are £12 each and include a bowl of soup and a roll. The Cafe Bar is open from 6:30pm for soup and drinks. UPDATE: Tickets for February 15 have now SOLD OUT. 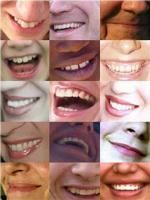 There are just a few tickets left for February 16.
theplaygroup, a writer-led theatre project created by Sean together with Matthew Wilkie and Mark Hewitt, will present a season of delicious new plays in the EAT THEATRE season at Farnham Maltings. of Failure, Sean's new play inspired by the life and work of the American painter Edward Hopper, will be presented as a staged reading at the artist's birthplace, the Edward Hopper House Art Centre in Nyack, New York. The cast will feature: William J Growney as The Narrator, Lawrence Jansen as The Man, Erin Wheelock as The Woman. Like a painting by Edward Hopper each scene in the play tells its own story. A man in an office, staring out of the window. A woman in a cafeteria, contemplating her empty coffee cup. A man and a woman together in a room, not talking. They might be you and me. Or they might be Edward and Jo Hopper. Office at Night, a scene from Sean's new play inspired by the life and work of Edward Hopper, will be performed as part of the Page to Stage event at The Berry Theatre. This will be the first time that any piece of Sean's work has been performed in his home town! Sean is pleased to announce that he's been appointed as the Associate for the New Writing South Writer Squad. Working in partnership with The Berry Theatre, Hedge End, the squad is for young aspiring writers aged 13-17 in the region and will launch in September 2011. Sean will fly to the English Lake District to research the roots of the legendary Stan Laurel for a forthcoming play. Sean is grateful to New Writing South for a New Buds Awards bursary, which has made this possible. Sean will host the next meeting of The Writer Hub at The Berry Theatre. The Edward Hopper House Art Centre (Nyack, New York) of Sean's conceptual play about the life and work of the American painter Edward Hopper, there will be a short work-in-progress presentation of one scene from the play, Sunlight in a Cafeteria, at Farnham Maltings, Bridge Square, Farnham, Surrey, UK. The second meeting of The Writer Hub at The Berry Theatre. On April 6, 2011 in Hedge End, Southampton, UK at 7pm. Sean Tyler will host the inaugural meeting of The Writer Hub at The Berry Theatre. The Hub offers the chance to informally meet with other writers, to listen to and meet with guest writers and to curate or take part in new writing events. The launch coincides with the opening week of the brand new Berry Theatre, a state-of-the-art 312-seat venue. The Hub is supported by New Writing South and The Berry Theatre. Godlight Theatre Company will be developing two world premiere stage adaptations at Kingsborough Performing Arts Center this season - Grand Central Winter, Lee Stringer's autobiographical tale of life as a homeless "resident" of Grand Central Station and the multi-award winning, magical and gleefully macabre The Pilo Family Circus by Australian Author Will Elliott. Artistic Director Joe Tantalo will lead an open rehearsal with excerpts from these two off-Broadway bound premieres. Tickets are free, available here. Click here for a review of the November 11 performance of Lee Stringer's Grand Central Winter adapted by Sean Tyler. Click here for an interview with Lee Stringer in advance of the November 11 performance. 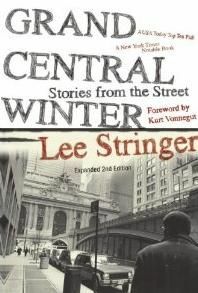 Grand Central Winter tells Lee Stringer's incredible true-life story of being drug-addicted and homeless, surviving on the streets of New York City. Rich with acts of kindness, humor, and heroism amid violence and desperation, Grand Central Winter offers a touching portrait of our shared humanity. The cast will feature: Sean Phillips as Young Lee, Willie Glenn as Old Lee, Katherine Boynton, Tara Jean Conway, William J Growney, Adam Kee, Gregory Konow, Ryan O'Callaghan, Nick Paglino, Lauren Schacher, Michael Shimkin and Erin Wheelock. Get an inside look at the creative process by witnessing sneak previews, open rehearsals and great new works in process before they land off-Broadway. Participate in post-show discussions with the artists and mingle with them at a reception following each performance! 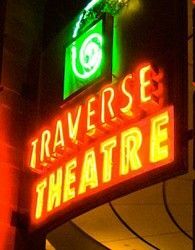 Five Minute Theatre Four new short plays including a new piece by Sean Tyler. The Great Lover by Jill Dawson. Performed as part of Farnham Creates Festival at Farnham Maltings, Bridge Square, Farnham, Surrey UK. Wander around The Maltings between 3pm and 4:30pm and you may, or may not, chance across one of the durational performances. CineStage presents work-in-progress scratch performances of six new works exploring the links between stage and screen. Including a new piece by Sean Tyler. Nightingale Theatre, 29-30 Surrey Street, Brighton BN1 3PA, UK (above the Grand Central Bar, beside Brighton Train Station). In an age when no-one has any time Lost Theatre challenges the freshest new theatrical talent to explode onstage in 300 seconds. Ten new plays, including Room 1336 by Sean Tyler. A man. Alone in his hotel room. The phone rings. He answers it. No-one speaks. Why doesn't the woman on the other end of the line respond? Why can't she respond? Directed by Francesca Seeley. The cast will feature: Nigel Mattison as the Man. 1968 Productions. Farnham Playwrights' Collective present five new, short and diverse monologues from works-in-progress, extracts from longer plays and self-contained pieces, including The Simple Act of Breathing by Rachel Barnett, Countdown by Heather Dunmore, The Reviewer by Matthew Wilkie, Two Kinds of Bee by Rita Wheeler and Room 1336 by Sean Tyler. Part of the Farnham Creates arts festival at Farnham Maltings. Everyone has read stories of the rich and famous... has seen glossy pictures in Hello and OK... But what if that was the only way to find out what your son was up to, what your twin sister was doing now? What if they had gone in search of fame? Would you ever have the chance to reconnect with them? Or are they lost forever, their heads in the clouds and their minds in the stars? Directed by Francesca Seeley. The cast will feature: Ruth James as Jane, Nigel Mattison as Carl, Aisha Karr as Hope and Catherine Rowntree as Ruth. "The city bulbs gently illuminate the belly of the cloud, which, from underneath, appears as a soft cotton sheet draped carefully over the intricate structures that surround us. We are captured within our own city." Columbus never leaves New York City; he walks Manhattan at night, seeing things that no-one else sees, experiencing a world that no-one else knows, but still trapped by the confines of the city. Until the day his sister re-enters his life, and introduces him to life not just outside Manhattan, but an entire world away. Waiting on the Z Train is a sensitive portrayal of destructive revelations, lies uncovered and family relationships rebuilt. This vibrant company of young theatrical collaborators present two remarkable new plays that have been workshopped in conjunction with two of the country's most exciting new writers. I met this girl... by Sean Tyler Interweaving relationships, missed opportunities and rash actions - these all collide to force four characters into a drastic reconsideration of their own lives and their perceptions of those around them. New York City. Mid-December 2004. A young man refuses to leave his apartment by daylight. Everything necessary for human life is there, including take-out pizzas and Martin Scorsese DVDs. Then his sister invites him to Coney Island... and beyond. Directed by David Trevaskis. The cast will feature: Oliver Scofield as Jasper, Vikki Virgo as Greer, Sue Broberg as Leona and Shaun Nethercott as Burton. Also presenting: Ramblin' Man by William Drew and Thick Blood, Loose Love by Rea Johnston. Sunday 18th - King's Head Theatre, Islington @ 7:30 Monday 19th - The Bedford, Balham @ 7:30 Tuesday 20th - Inn on the Green, Portobello Road @ 7:30 Tickets: Online, phone 07960 010209 or on the door. The newly published booklet Nine short plays about happiness, which includes Call off the Search by Sean Tyler, is now available to purchase in person from Farnham Maltings or by post from New Writing South, 9 Jew Street, Brighton BN1 1UT, UK. Please send a cheque for £3.00 (which includes P&P), cheques should be made payable to New Writing South. Saturday, April 1 at 3:30pm - A staged reading at Theater C, 59E59 Theaters, 59 East 59th Street, Manhattan (between Park and Madison). December 2005 - Sean Tyler has just been appointed Writer in Residence at the Gershwin Hotel, New York City. He will initially spend time there during Spring 2006, researching and developing his newest project. Sean said: "This is a wonderful chance to fully immerse myself in the City that has always proved so inspirational in the past. I'm honoured to have been selected by the Gershwin Hotel and I'm very excited about the opportunities this will open up for me". Go to: GershwinHotel.com click on 'Love' and then 'Artists in Residence'.